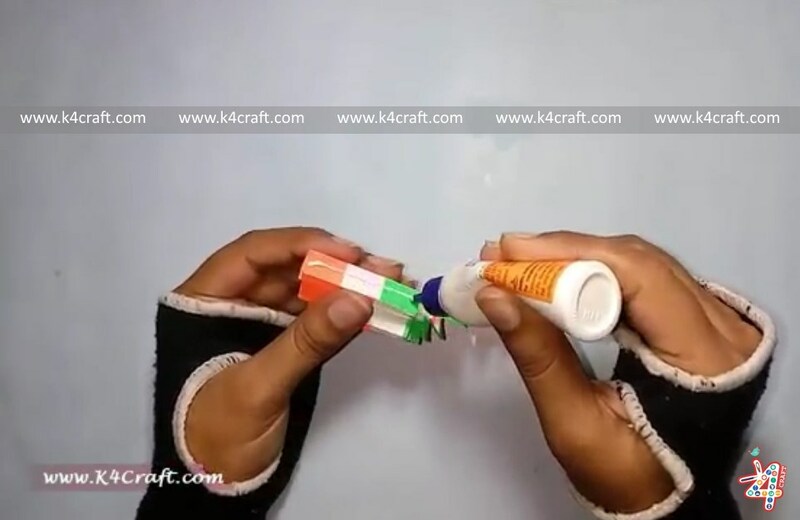 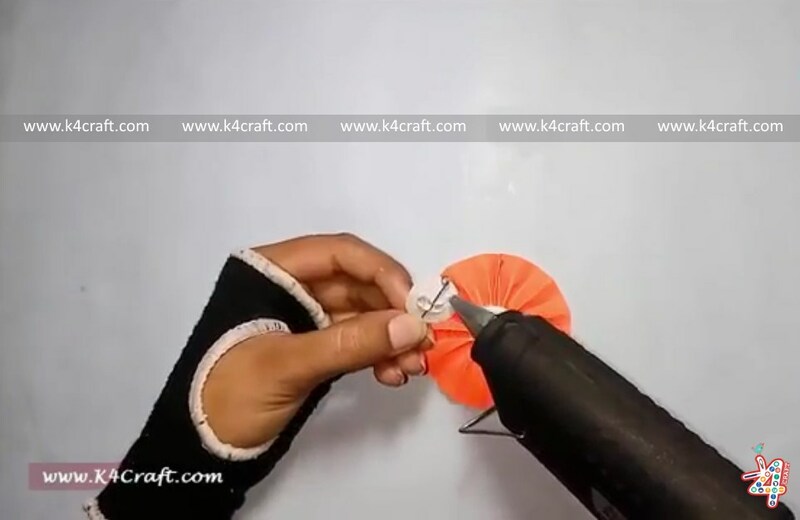 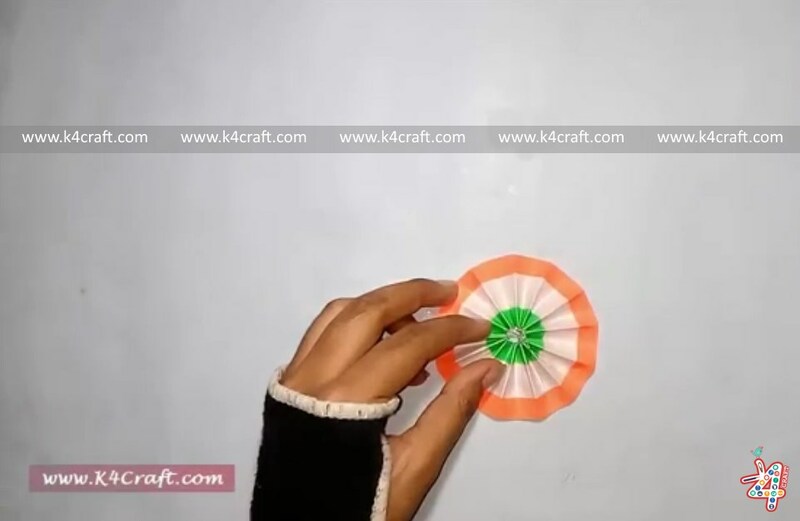 How to make Indian Tricolour “Badge” for kids in quick and easy way for Republic Day and Independence Day. 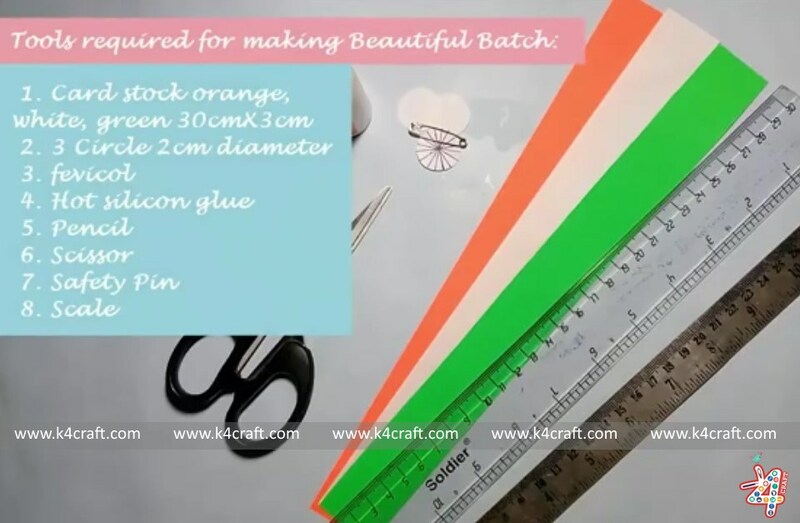 It is easier to make than you think. 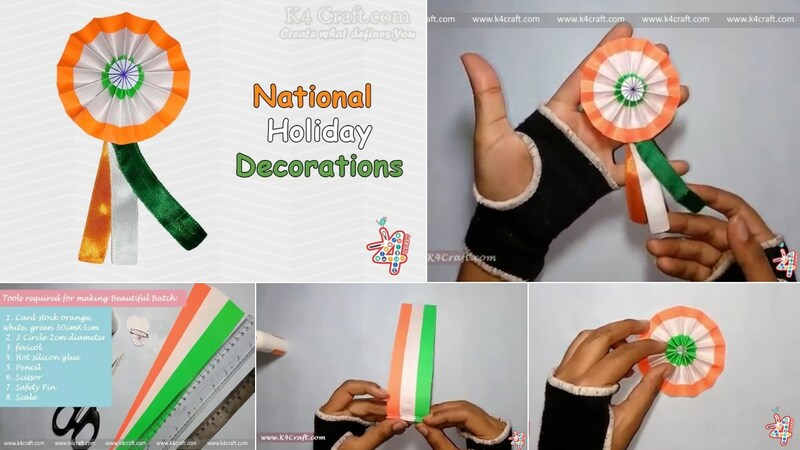 Paper Crafts are simply perfect for National holiday, Spring, Birthdays and Mother’s Day! 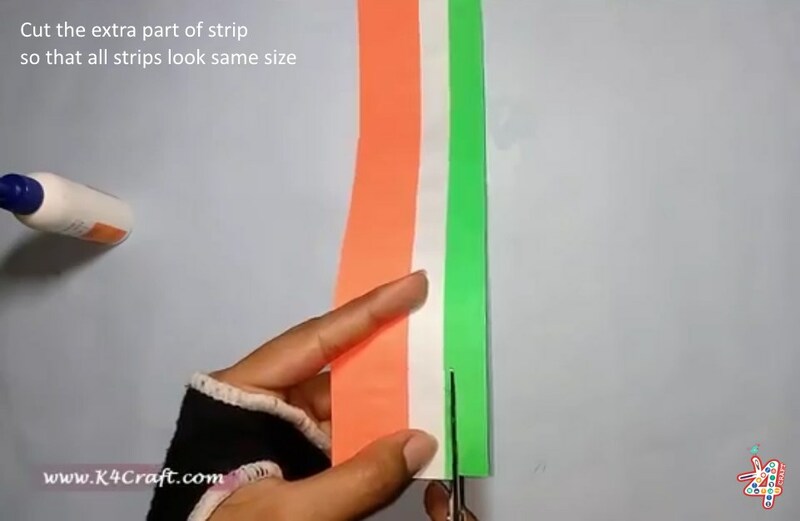 The National Flag of India is a horizontal rectangular tricolour of India saffron, white and India green; with the Ashoka Chakra, a 24-spoke wheel, in navy blue at its centre. 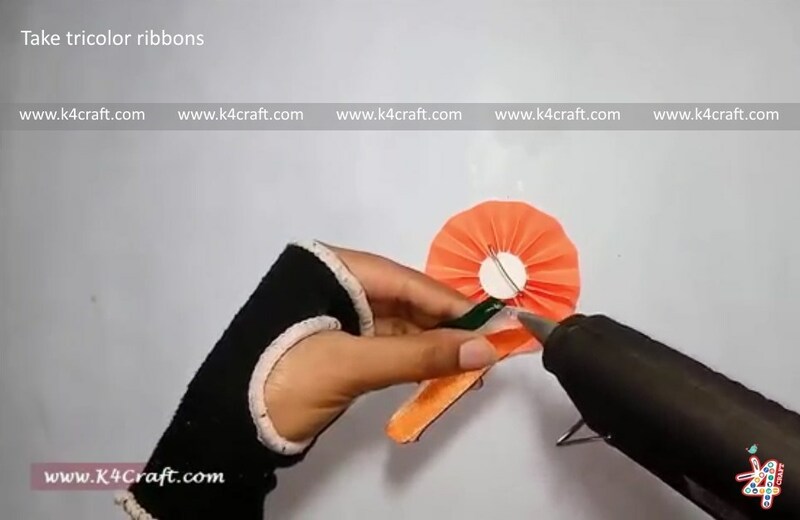 Kids always love DIY craft activities special easy paper crafts. 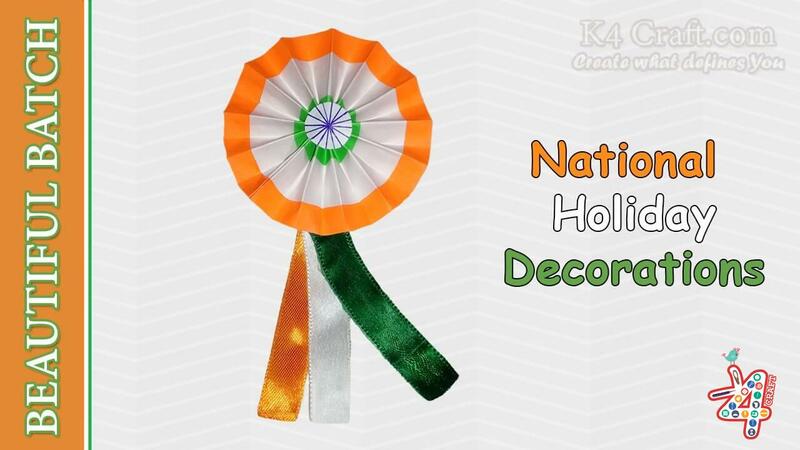 On special holidays like 26th January, 15 August, kids like to wear tricolor clothes, badge, hair band, 3d flower, jewellery etc. 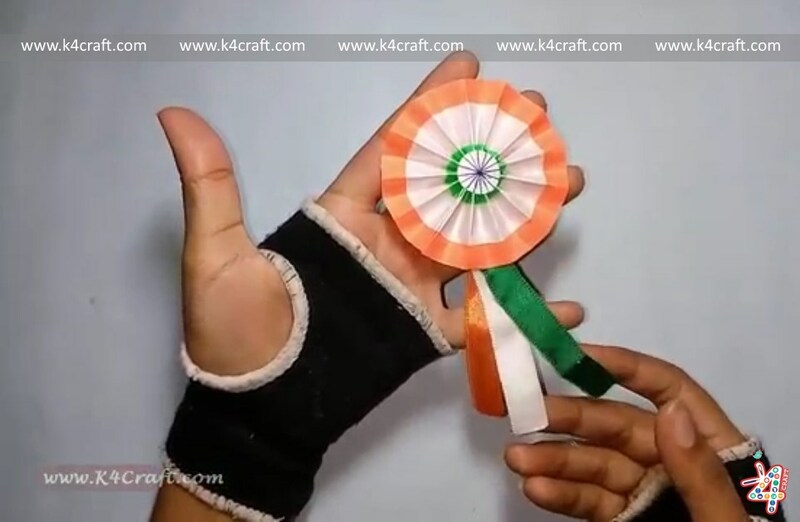 Instead of buying these things from the shops by useless spending of money we can make beautiful badge and other things by our-self within less time and sure it is a money saver. 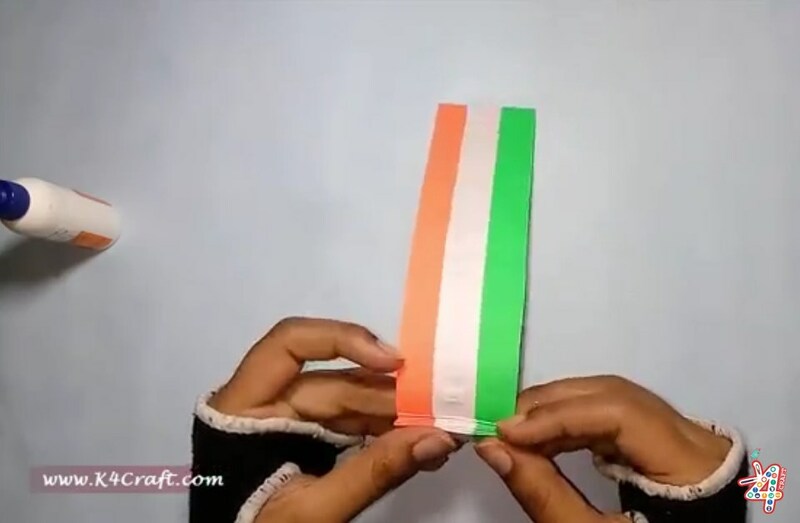 I think it’s way easier to learn how to make Tricolour “Badge” for kids by watching videos than by looking at photos, so I’m going to start by showing you the videos. 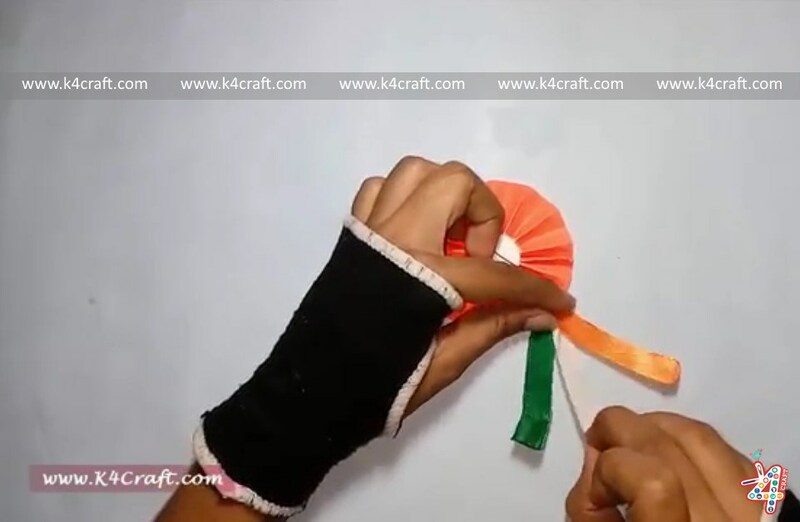 This tutorial shows making of tricolour badge for kids. 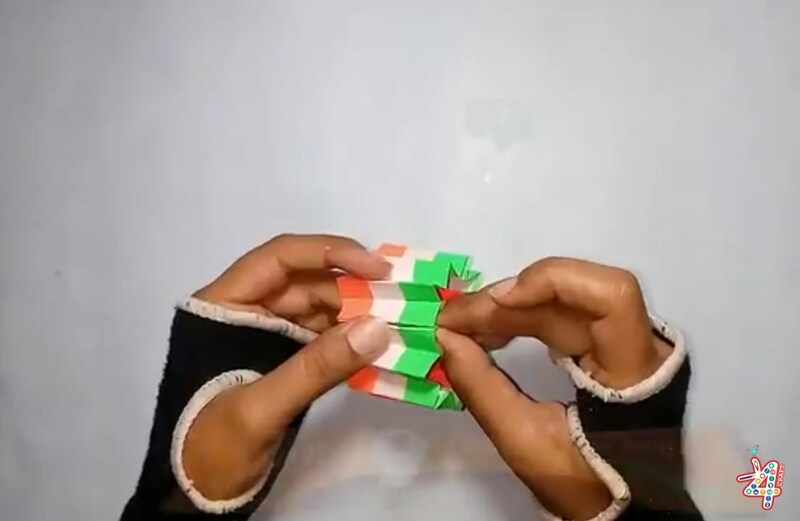 Hope you like this tutorial. 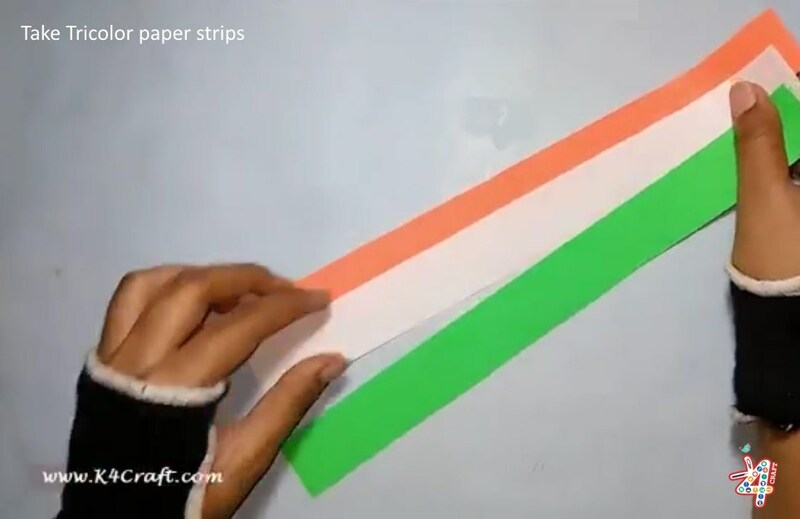 Please tell us in the comments below. 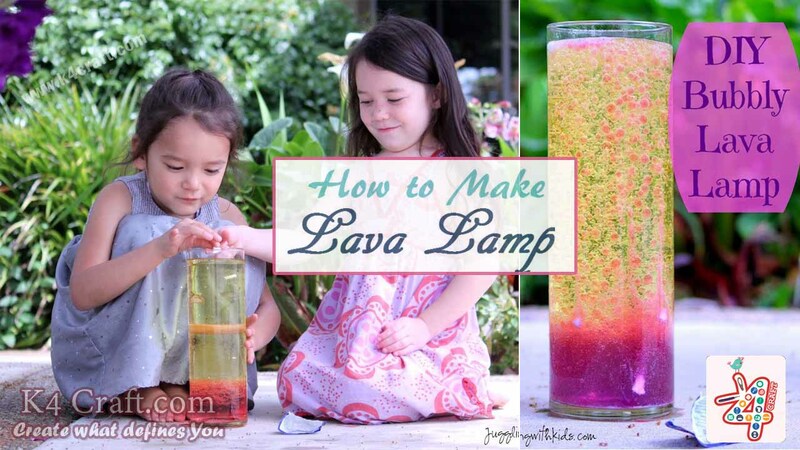 And be sure to follow on Pinterest for more ideas!